To the casual observer, Washington’s primary contributions to the nation may be Nirvana and Starbucks. And while gourmet coffee and grunge music are certainly enjoyable under the right circumstances, sports gambling enthusiasts are more concerned with the legality of placing bets and the potential penalties for breaking such laws. It turns out that they have every right to be concerned, as Washington has some of the most oppressive gambling laws on the books. Even the pious state of Utah has milder penalties for illegal gambling, although their music scene isn’t nearly as happening. In this article, we’ll be providing an overview of the state of sportsetting within the state of Washington. The basic penalty for breaking the law will be discussed, as well as the types of teams you can wager on if you decide to throw caution to the wind. This is probably a good point in our relationship to mention my complete and utter ignorance of the law within the boundaries of Washington State. If you want to check with someone who’s an expert on the subject—which is always a good idea—you’d best be prepared to pony up some cash for a session with an actual attorney. The Evergreen State has a solid mix of professional and minor-league sports teams to entertain its citizens. For those looking to wager on games, it also provides an opportunity to bet on everything from rugby to women’s football. • Eastern Washington University – The Eagles compete in five men’s and seven women’s sports, capturing national titles in wrestling, cross country, and football (the latter in the FCS). • Gonzaga University – While they lack a football program, Gonzaga has become well-known in recent years for their men’s basketball program. The Bulldogs have qualified for the NCAA tournament 15 seasons in a row, and they were ranked first overall by all major polls during the 2012-2013 season. • Seattle University – While recent years haven’t brought any major championships, the school’s basketball program has produced professional talents such as Elgin Baylor and Clint Richardson. In fact, more NBA players came out of Seattle U in the 1960s than any other college. • University of Washington – The Huskies have a number of national titles to brag about, including championships in men’s rowing, softball, women’s cross country, golf, track and field, and women’s volleyball. The men’s basketball team has two Sweet 16 appearances, and the Husky football team has won two national titles and numerous bowl games. • Washington State University – The Cougars have earned three national championships in men’s basketball (1917), boxing (1937), and indoor track and field (1977). Since the state contains a perennial men’s basketball powerhouse like Gonzaga, residents of Washington always have reason to get excited when the NCAA Division I tournament (also known “March Madness”) rolls around each year. While online or in-person sports betting are illegal, residents should still be able to join an office pool without fear of getting in trouble with the law. In case you’ve never done it before: here’s how a bracket pool works. You put a specified sum of money into the pool. You then fill out a bracket for the tournament, trying to predict as many outcomes as possible. If you get the most correct predictions, then you either win all or a majority of the prize money. Washington isn’t fooling around when it comes to online gambling. 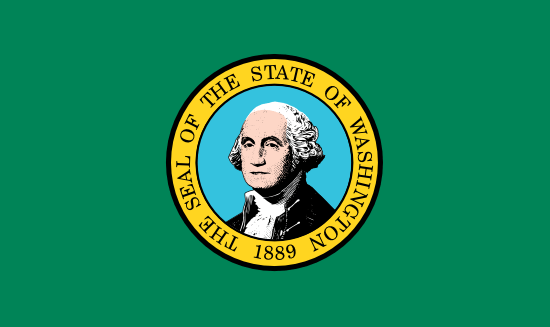 While most states ignore the practice entirely or levy some misdemeanor sentence against offenders, Washington has adopted a more stringent position in order to combat the perceived evils of the hobby. Any form of online gambling is considered a felony, and the law is designed to punish players just as much as Internet sportsbooks and casinos. This has resulted in Washington being avoided by more websites than most other states, although there are still options out there if you’re willing to take the chance. Getting prosecuted for online gambling is still unlikely, but I doubt the people downloading thousands of free songs from Napster ever thought they would get in trouble, either. If you’re a Washington resident who wants to engage in online sports betting, be extremely careful. A neighborhood bookie is a favored option in most states, although I can’t recommend it as much in Washington. Since the laws are definitely unfriendly to gamblers, there a chance that authorities would do their best to track down anyone who ever did business with a busted bookmaker. The safest way to gamble in Washington—and perhaps even preferable to online betting—is to make face-to-face wagers with friends, family members, and co-workers. Such contests leave no trace, and they shouldn’t draw any attention as long as the size of the wagers are kept under a reasonable level. Washington is a poor state for sports gambling, as their laws are more specific than most in terms of prohibiting online betting. This doesn’t mean it’s impossible, however, as you can always rely on office pools and friendly bets with co-workers to get you through the day.